According to Ms. Sawyer, the Three-in-One is a combination of the one-step, waltz and tango. The tenor of the article, in fact, implies that Ms. Sawyer may have been instrumental in the original creation of the Three-in-One. “[It] consists of a long glide, going forward three steps, pivoting on the fourth, going back three steps, and gauging the position so as not to go twice in the same direction. 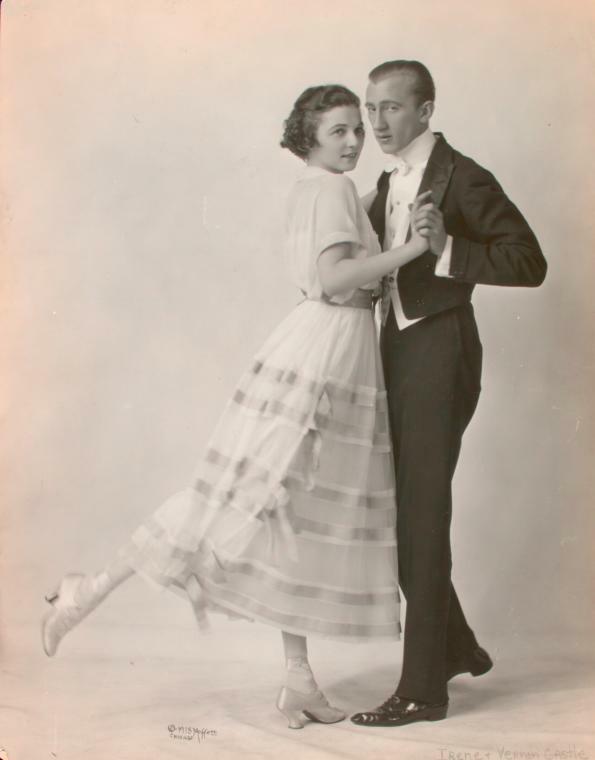 Ms. Sawyer states that the dancers may pick any style of waltz at this juncture, including but presumably not limited to the Boston waltz or Hesitation waltz. The dancers are then instructed to gradually lengthen the waltz into the tango so that no extra step is needed. The couple exits the tango with the gentleman backing, and the lady walking forward, to resume the one step. The dog is, indeed, a good looking dog. Dancer. Researcher. Magic bean buyer.